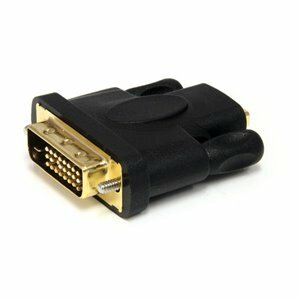 The HDMIDVIFM HDMI® to DVI-D Video Cable Adapter features one HDMI female connector and one DVI-D male connector. Designed and constructed to provide a dependable HDMI to DVI connection. Enables a bi-directional connection between HDMI-capable devices and DVI-D capable devices to overcome compatibility issues.